The Marathon Dual-Wheel Residential Yard Rover is our pick for the best wheelbarrow. Not only is it a light weight for easy transportation through your garden, but it also has plenty of room for a large amount of materials with a high weight capacity. But, if you’re looking for a heavy-duty wheelbarrow or one that folds for convenient storage, we also recommend a few of the best wheelbarrows with those beneficial features. Interestingly, what’s become one of the most common gardener’s staples began as a tool to help transport items during wars in the first century, B.C. Wheelbarrows took the place of animals to heavy equipment, supplies, and even wounded soldiers (source). Today, however, wheelbarrows have a less-daunting task, commonly used in gardens to transport materials. What is a Wheelbarrow Used For? Gardeners can use wheelbarrows for a wide range of gardening tasks. If you start plants indoors during the winter or early spring, you can use a wheelbarrow to transport your seedlings to the garden when they’re ready for planting. A wheelbarrow can also lug large loads of soil, compost, and gardening tools to lessen your workload. When it’s time to prepare or weed a garden bed, a wheelbarrow can be used to store the materials you remove from the area. Dead plant debris and unusable soil can be tedious to transport to the trash without a wheelbarrow. What are the Differences Between Wheelbarrows and Garden Carts? If you search for a new wheelbarrow online, your results may also display some yard or garden carts. However, it’s important to note that, although some may look similar, they do have some key differences. 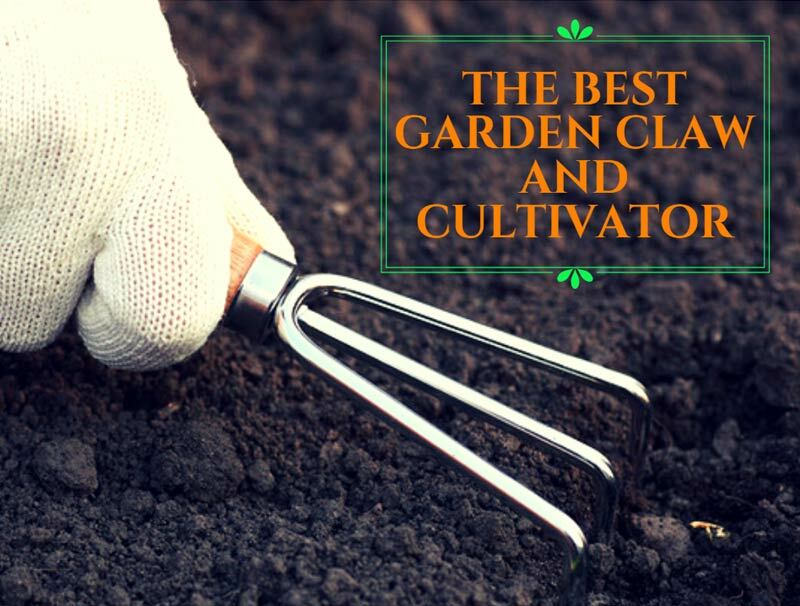 The best tool for you depends on your garden and your gardening needs. A garden cart, also known as a yard cart or utility card, is usually shaped more like a wagon than a wheelbarrow. This device usually has a 4-wheel design, one on each corner, but sometimes has the look of a wheelbarrow, except with two wheels on each side of the front. These designs make garden carts sturdier and able to distribute heavier weights more easily (source). A wheelbarrow has a distinct design, typically with one wheel in front or two wheels next to each other in the front for a higher weight capacity. Wheelbarrows have two support legs in the rear to support it when it’s in a resting position. The wheelbarrow bed is usually large enough to hold several pounds of materials and is commonly made with a strong, polyethylene plastic (source). Gardeners with lighter transporting needs may benefit from a wheelbarrow instead of a garden cart. Garden carts can take up some more storage space than wheelbarrows if they aren’t foldable. However, if your yard has tough terrain to move through, the tires of a wheelbarrow may not be large enough to maneuver through the garden easily. If you’re in the market for a new wheelbarrow to replace an old, rusted up model, think twice before discarding your old one. Why not use it as a beautiful planter in your garden? With a little tender, loving care - and some paint! - an old wheelbarrow can become a gorgeous focal point of your garden. Add some bright, full-flowered plants and plenty of soil. Your new wheelbarrow can also come in handy throughout the seasons. In the spring, use it to transport your gardening materials for planting. In the summer, tote your fertilizer, compost, and pruning tools through the garden. In the fall, use your wheelbarrow for harvesting your produce. Your wheelbarrow can also lug salt and shovels along walkways for use in the winter. Landscapers can also benefit from using wheelbarrows to transport heavy materials, like bricks and stones, to their permanent places in a yard. Or, if you’re remodeling your home, a wheelbarrow makes the perfect transport system for materials and acts as storage as you work. What are Beneficial Features of the Best Wheelbarrows? Wheel type and size. Some wheelbarrows have plastic wheels, while others have rubber tires. Rubber tires tend to provide the most ease when moving a wheelbarrow through soil and other terrain. Bed size and weight capacity. How big of a wheelbarrow bed do you need? What types of materials will you be transporting? If you have a lot of heavy materials to transport with your wheelbarrow, make sure the bed size and weight capacity meets your needs. The average wheelbarrow holds about 3 cubic feet of materials (source). Bed material. You’ll want to consider how frequently you’ll be using your wheelbarrow and what types of materials you’ll transport. Garden tools can scratch flimsier plastics easily, so you may need to consider a scratch-resistant, heavy duty plastic or metal wheelbarrow. Storage. If storage space is an issue for you, a foldable or small wheelbarrow may be a good choice. However, they won’t have as much bed capacity as larger models. The Marathon Dual-Wheel Residential Yard Rover, as the name suggests, is the perfect mix between a wheelbarrow and a garden cart. With its wheelbarrow design, but 2-wheel structure, much like a garden cart, it offers the smaller stature of a wheelbarrow, with the sturdiness and weight capacity of a garden cart. The Marathon Yard Rover holds up to 300 pounds in its 5 cubic foot tray, so it provides plenty of space and strength to haul the largest loads. Since this wheelbarrow has a 2-wheel design, you may be concerned with its maneuverability, which is one of the benefits of a wheelbarrow over a garden cart. However, its two large, air-filled wheels allow for easy movability and maneuverability through a wide range of terrain, without added strain on you. This wheelbarrow is best for gardeners who want a light-weight wheelbarrow for less back and arm strain. To keep this wheelbarrow in top shape for years of use, check its tires frequently for air and keep the wheelbarrow clean. After use, remove any dirt and debris from the tires, wheels, legs, handles, and bed. You may consider lining the bed with a towel or blanket before filling the wheelbarrow with sharp garden tools, landscaping materials, branches, or rocks. Store the wheelbarrow out of the elements, like in a storage shed, when it’s not in use. This wheelbarrow typically takes up to a half-hour to assemble and needs only basic tools and assembly tasks. As you assemble, be careful not to fully tighten any screws until you’ve added all the pieces on. Keep them loosely tightened and, once the wheelbarrow is fully assembled, fully tighten the screws. This will help everything align correctly for the easiest assembly.